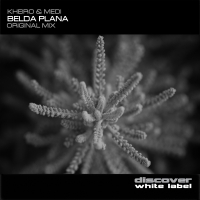 Discover White Label finshes the year in style courtesy of Kheiro & Medi with Belda Plana. A chunky trancer with a lush breakdown and bags of hands in the air cheer!!! Great stuff from Kheiro & Medi. 'Belda Plana' is available now from Beatport and iTunes.